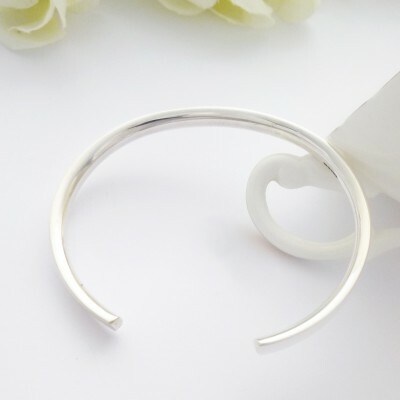 Solid Sterling Silver Torq Bangle with Beautiful clean lines. 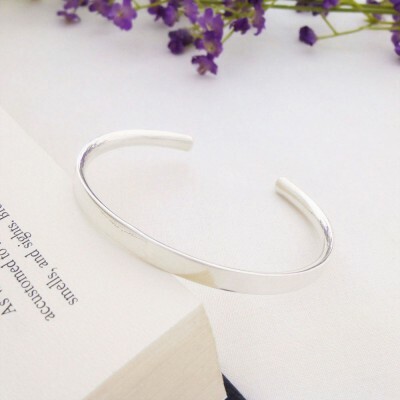 Beautifully designed and handmade in the West Country, the Alexa Silver Torq Bangle is sleek, stylish and makes a wonderful present for someone special. 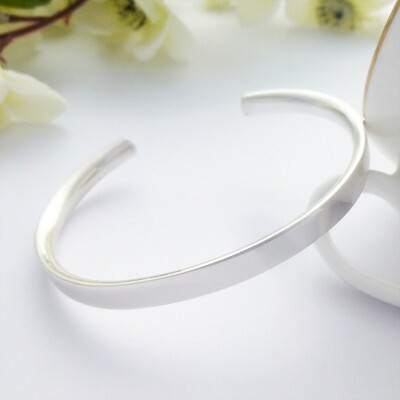 The Alexa Torq Bangle features a flat, square edged exterior and a soft curved interior making this a unique, interesting but very comfortable to wear silver Torq Bangle. Our unique collection of Torq bangles here at Guilty bangles have always been very popular with our customers and we are loving our newest addition to this exciting range. The Alexa Silver Torq Bangle fits most average sized wrists and the internal diameter of this bangle is approximately 60mm wide. The thickness of the bangle measures approximately 5mm wide. Subject to availability, the Alexa is available in small wrist and regular wrist sizes. 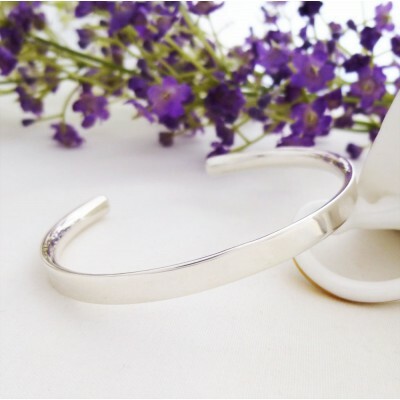 This bangle is made out of hallmarked 925 Sterling Silver. The approximate weight of this bangle is 23g. The internal diameter of the Alexa Silver Torq Bangle measures 60mm wide.